Can cycling help weight loss? If you train in the gym and eat like a rugby player, chances are you will bulk up with both muscle and fat but maybe struggle to stay lean. What about those blokes that are cycling hundreds of miles every day on the Tour de France? They’re ridiculously lean! Does that mean cycling aids weight loss? Riding a bike is challenging, sociable and can provide a great workout. It’s suitable for everyone, any age or level of fitness, and it aids weight loss by burning calories, improving health and gets you out of the house, filling your lungs with fresh air. 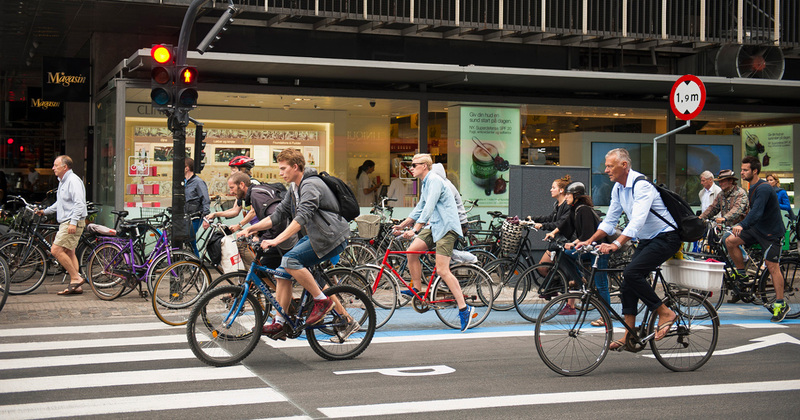 Throughout a number of cities across the globe, governments are realising the benefits of cycle paths, given they remove some vehicle congestion from the roads and attempt to encourage city slickers to live more healthy lifestyles by getting on their bikes each day. Cycling to lose weight is becoming a more comfortable and enjoyable option. It’s a great way to get out and about and power you towards your weight loss goals! You can lose fat and burn calories by increasing your heart rate. Sprint with short sharp bursts to burn carbs or go slow and steady over a longer distance to burn fat. Cycling improves health in general and in particular heart health. Strength and endurance are increased as you exercise the major muscle groups in your legs. It’s a low impact exercise, taking weight off of your joints which is great for those who can’t do high impact sports, such as running for example. You don’t need special training. Some sports can be very technical making it easy for beginners to be put off. Most of us can already ride a bike! It’s better for the environment than using a vehicle. How many calories will you burn cycling? Depending on how much you weigh and the level of effort you put in, cycling can help you burn between 75-670 extra calories in just 30 minutes. Cycling gives your heart and lungs a fantastic workout which is great for your cardiovascular health. It’s an exercise that can be maintained for a long period of time without your legs getting too tired, although you’re likely to feel the burn. As your heart and lungs get stronger, your body will pump oxygen around the body more efficiently, meaning you’ll have a higher level of fitness. Your resting heart rate will decrease as will your blood fat levels and blood pressure. All of these combined will reduce your risk of heart disease. 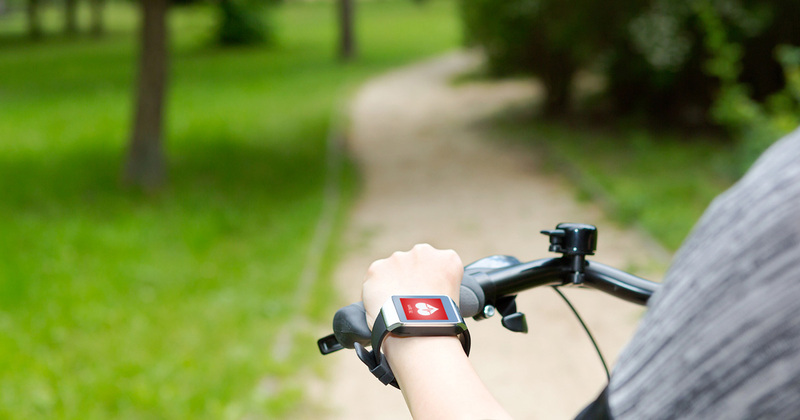 30 minutes cycling just two to three times a week will help with other activities too. Before you know it, you’ll be running out of the house to get started on your ride! The research is rather conclusive: Around 80 percent of people who begin exercising throw in the towel within a year. It’s easy for the novelty to wear off quickly, to get bored and find other things that are more fun to do. Cycling can make you feel like a child again. You can go places and explore pretty scenery and feel the ‘wind beneath your wings’. It has the power to take you back to a carefree time in your life where there were few responsibilities. You lap up the speed you’re travelling and the ease of the journey so much so that you forget that part of your motivation to be there in the first place is to get some exercise. 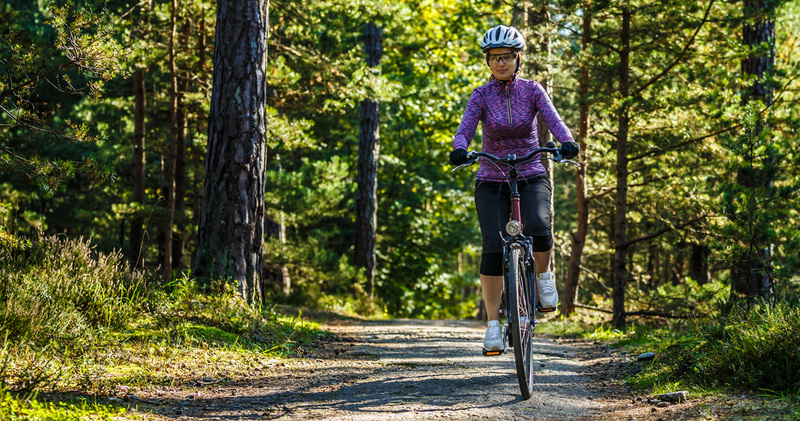 Cycling is often recommended for people with arthritis and similar ailments. Make sure you get measured up and have the seat tailored to suit your body shape. Once that is sorted and you complete a good warmup, you can increase your intensity without stressing your hips and knees. 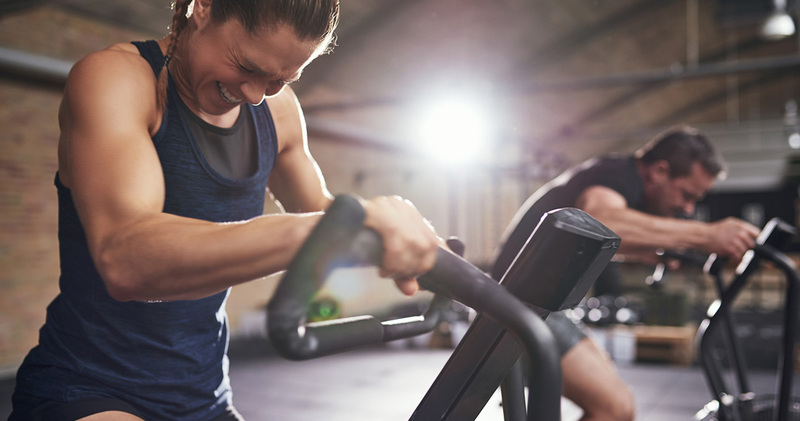 High intensity interval training (HIIT) is a fast way to boost your fitness, kick-start your metabolism, and stimulate muscle growth, all of which helps you to fry more fat. There’s no better place to push those max intervals than on a bike because there’s zero impact, just effort. Just find a quiet stretch of road or path, especially if it’s on a bit of an incline and get to it. Push as hard as you can for 10 to 20 seconds, go easy for double that time (20 to 40 secs), and repeat 6-10 times. Rest for five minutes and go again. What else can you do for 100 miles? It’s hard to find another activity where you can fly along at a decent clip while talking with friends, having fun and improving your health! Research shows that having someone to workout with dramatically increases the likelihood that you’ll stick with your routine. After all, consistency is key to improving your fitness and losing unwanted weight. Try searching online for local cycling clubs where you can join riders of a similar level of fitness. Most outdoor activities aren’t quite as appealing when you take them inside. Spin classes in a gym studio can be quite fun and entertaining. It also means you’re less likely to lose your new routine when winter strikes. Taking the weather out of play can be a huge hurdle jumped, as it’s removing another reason to shut up shop and hibernate in the cold winter months. One of the benefits of cycling is that you can do it to kill two birds with one stone and don’t necessarily have to set aside a couple of hours at a time to keep yourself ticking over. By riding to the shop, commuting to work, or riding to your nearest train station to get to work, and riding instead of driving for other chores, you can add in hours of activity every week doing the things you’d normally be doing anyway—and help yourself move towards a healthy weight along the way. It is estimated that for every hour we spend cycling, we add an hour to our life. Anyone can ride a bike and, as they say, once you’ve learned the skill, it’s never forgotten. There are hundreds of different types of cycles for you to choose from – mountain bikes, road racing bikes, touring bikes and hybrid bikes. Ask an expert’s advice for what is best for you. Once you have your bike, start off slowly and make gradual progress with the time you spend out riding. Just to be safe, stay off the roads until you build up your confidence. Take short journeys initially to help with this – whether that be to go to the local shops to collect your milk or just a quick and easy ride around the streets close to your home. It’s also a good idea to stick to flat roads and paths until you’re ready to progress onto more challenging rides and gradients. You can slowly increase the distance and speed and start cycling to places you would normally go to by car or on public transport. Within a month riding a few miles will no longer be a problem and you could even look into cycling to work if it’s a suitable distance. Once you feel that your cycling has improved enough, why not take a look at completing a local cycling event over a distance that you’re comfortable with? Setting yourself a challenging goal will help to give you the motivation needed to get out on the bike when your interest is waning. How do I go about buying a bike? Whatever bike you’re after – mountain, road, or track – you can choose the best on the market or a standard, easy to ride model from around about £100. You could also check out second-hand shops where you’ll often find a bargain. Or, what about that thing collecting dust in the garage? If you put in a little effort, that old two-wheeler could be roadworthy! But is it actually enjoyable? Cycling is a great way to get to know your local region and check out the best parts. Unlike a jog or walk you can travel a much further in a shorter period of time and take in more of the world around you. Varying your route as much as possible will help to keep your exercise as fresh and interesting as possible, helping to prevent boredom and a lack of motivation, two of the biggest obstacles when attempting to lose weight. Can I build muscle by cycling? 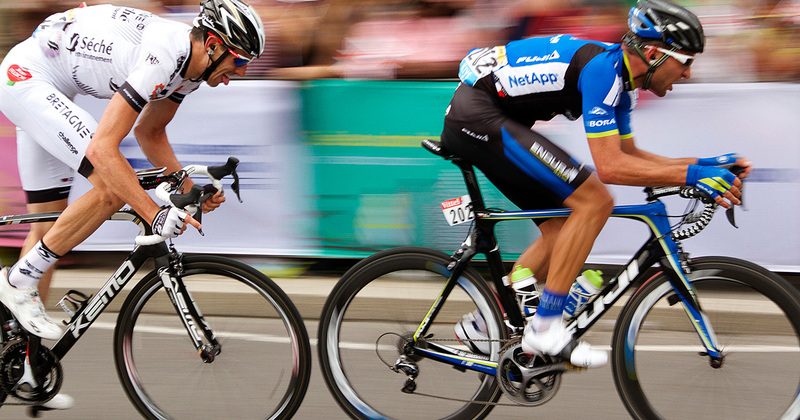 Due to the nature of cycling, it burns calories and is unlikely to build a great deal of muscle. It’s much more likely that your thighs, bum and waist will trim down and tone up. As you start to travel longer distances, your core and back will become stronger and firmer, as will your legs. 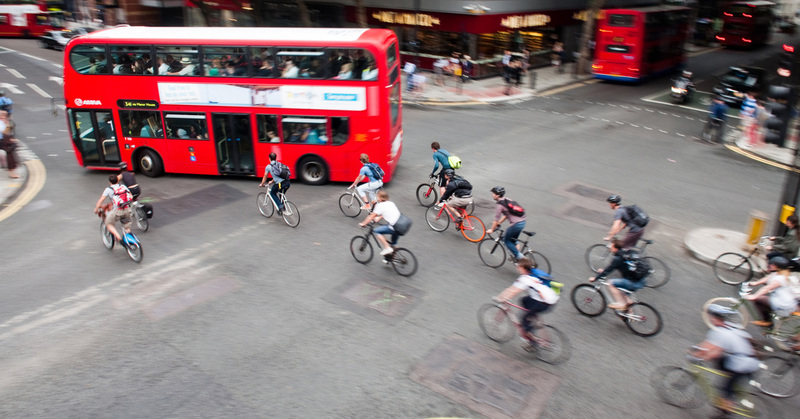 Bikes are an under-utilised form of transport, especially with the increase in congestion on today’s roads as well as the ever-increasing price of fuel. 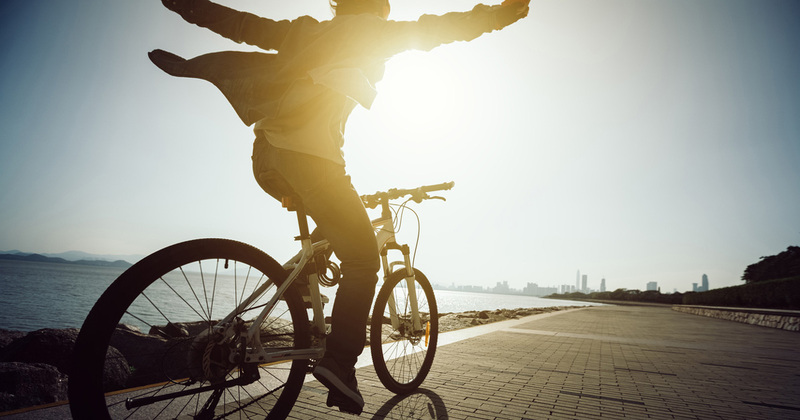 Riding your bike to work requires no petrol, insurance, MOT or Vehicle Excise Duty, as well as giving you free parking! It also releases zero emissions, so it’s beneficial for the environment too. A large number of people who drive to work by car travel a distance easily achievable after some cycling training. So, you can improve health, fitness and burn off calories every day without having to allocate time for a gym session or workout. This is something that London has been improving in recent years, for example. In July 2010, the first two cycling ‘Superhighways’ opened, with others opening in the following years. Many smaller cities also have a good cycle route system running through them, so check your local authorities’ website to see where they have been established. If we’ve managed to convince you that cycling is the way to go, let us know how you’re getting on. We’d love to hear from you!